A 21-year-old man has been arrested on suspicion of stabbing a 66-year-old woman who was found dead in a Lake Forest home, according to the Orange County Sheriff's Department. Oscar Luis Morlett, 21, of Foothill Ranch, is being held Friday night on suspicion of murder. He was found about 2 miles from the scene. 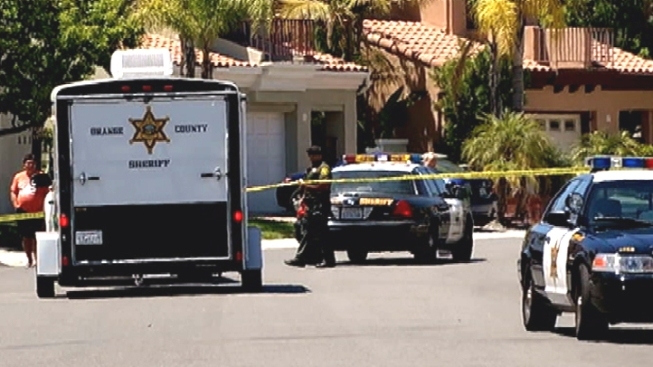 Deputies responded to reports of a disturbance about 11:20 a.m. at a home in the 100 block of Blazewood in Lake Forest, a city just east of Irvine. Deputies found a 66-year-old woman inside the home, where she was pronounced dead. It was unclear whether the victim, who has not yet been identified, lived at the home. The relationship between the victim and the suspect was also unclear. Outside the home Friday afternoon, investigators talked with one man, a possible relative or friend of the victim, who appeared distraught. Investigators led him away and put him into a patrol car. Neighbors said an older couple lives in the home, along with two adult children and one other person.